The Westinghouse Retirees Group now called SURE (Service Uniting Retired Employees) was founded as part of President George H. W. Bush’s Thousand Points of Light Program and held it's first meeting on July 19, 1989. SURE's first mission statement: “To identify, focus and mobilize the expertise and interests of Westinghouse Retirees for their personal fulfillment in volunteer services for the benefit of the community.” From its earliest days, SURE has actively searched for volunteer programs our members would be comfortable coordinating and enlisting volunteers. Early SURE member Agnes Sink kicked things off by creating a program to provide volunteers at the VA Hospital – and over time, it blossomed into a huge Hospital Volunteers Program serving many hospitals. As SURE grew, other projects were added, and that number has become an ever changing fountain of good works for those in need within our communities. In the 30 years since SURE was founded, our members have provided over 1.2 million volunteer hours to benefit our communities. 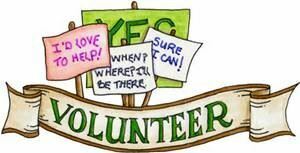 Our current volunteer programs are listed below.